To read the rest of this post please go to my LinkedIn Pulse article here. In this random and unscripted episode of my VideoBlog I discuss how I tell my trainees to assume I am lying to them! Why do I do that? Well, NLP is an attitude that led to a methodology that left behind a trail of techniques. 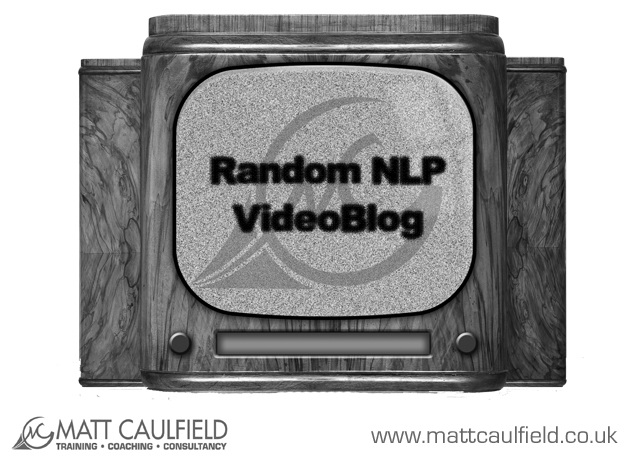 One of the main attitudes to bring to NLP is that of curiosity, to explore and test and check everything. By telling my trainees to assume I am lying to them (and I use that language deliberately, as it is emotive and entertaining and creates a more powerful state that just telling them to “check what I said”), it encourages them to be curious. If you become curious about NLP you are using the attitude of NLP on NLP, you are doing “Meta-NLP”! Curiosity is also a great stepping stone to motivation – “I wonder what happens if…?”. Not enough people are really curious about NLP and that has led to it become stale and errors creeping into the model. So I urge you to assume I (and everyone else) is lying to you and check what they have said for yourself! https://mattcaulfield.co.uk/wp-content/uploads/2018/07/Enfold-Header-logo.png 0 0 Matt Caulfield https://mattcaulfield.co.uk/wp-content/uploads/2018/07/Enfold-Header-logo.png Matt Caulfield2015-02-03 14:44:212015-02-03 14:44:21NLP VideoBlog Episode 28: I Am Lying To You! In this episode of my occasional, random and unscripted video blog I teach a very simple memory technique (which, ironically, I cannot remember where I learned). I apologies for the text message interruption! The world of careers has changed completely. The idea of a job for life or even a career for life ended a long time ago, but right now even bigger changes are taking place. In this post ‘economic crisis’ world of fast evolving technology you need much more than the normal skill set to survive and develop in business. You need the skills and strategies that give you the edge over your competitors. 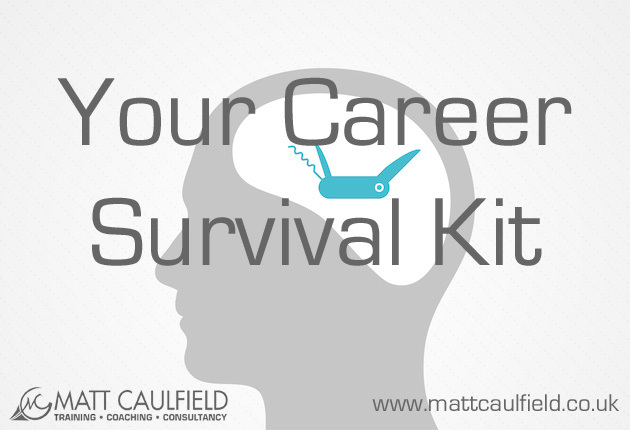 You need a career survival toolkit! NLP is so often sold as either some wishy washy self help “think good thoughts!’ type training or as an alternative therapy. In actual fact it is so much more than that, with its roots in cybernetics, systems thinking and cognitive psychology, it offers some of the most pragmatic skills and strategies available to improve your thinking. It gives you the essential toolkit you need to survive in the modern business world. The management consultancy firm McKinsey found that executives in “flow state” – often called the “Zone”, where you have increased awareness, focus and speed of thinking – are five times more effective than their peers. NLP looks at your mental state and teaches you to control and change you state at will. Thinking, in particularly critical thinking, could be simply described as a process of asking yourself and answering questions. To get a better answer, you need a better question. NLP gives you better questions. By clarifying purpose and helping you understand what drives your decision making, including your cognitive biases, NLP can help you develop your intuition. 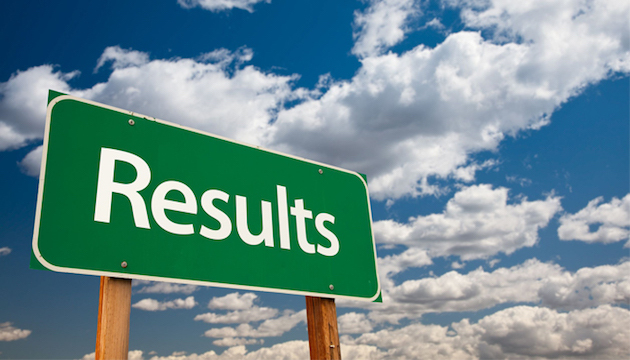 This means you will making faster, more accurate decisions that will lead the greater success. NLP was never a therapy, it was a teaching tool. It looked at ways to help people learn better behaviours and thought processes. These ideas have been applied directly to education and developed such things as the “NLP Spelling Strategy” and can be used to help you accelerate your learning ability. It allows you to “model” people who have excellent skills and abilities and learn those skills yourself. This is the closest you will get “uploading” skills, like in the Matrix. NLP has modelled such geniuses as Walt Disney, Nikola Tesla and Mozart, and uncovered the structure of creativity. By applying these strategies you can think of new solutions and create brand new, better ways of doing things. It will also, if you so wish, improve such creative skills as painting, musicianship, etc. Two of the most powerful models in NLP are communication models. They will help you ask better questions, create more compelling persuasive arguments and help you gain rapport quickly and with more people. It is not surprising then that a recent survey suggested that up to 75% of Bluechip companies are looking for NLP as core competency in their staff. NLP training has been carried out by Barclays Bank, British Gas, nPower, Jaguar Land Rover, Johnson Controls, House of Frazer, John Lewis, Severn Trent Water, Natural England and the NHS to name just a few. How Do I Get This Toolkit? The best way to learn NLP is by attending an NLP Practitioner training course. To see my upcoming dates, click here. When I was young one my favourite TV shows was The Rocketeer. The re-run was shown in the morning during the school holidays and I would religiously tune in. Each episode always ended on a preposterous cliffhanger that was resolved in the first moments of the next episode, but still it kept me coming back every day to see what happened. The idea that leaving a story unfinished, or a loop open, compelled people to return for the next episode has been well used in Hollywood for years! Our brains hate unfinished material. They keep the story or activity open in our minds and desperately try to close them off. This is why you will find people who have hectic lives tend to be stressed and seem overwhelmed. They constantly interrupt a process and so their mind is trying to sustain all these open and unfinished routines. 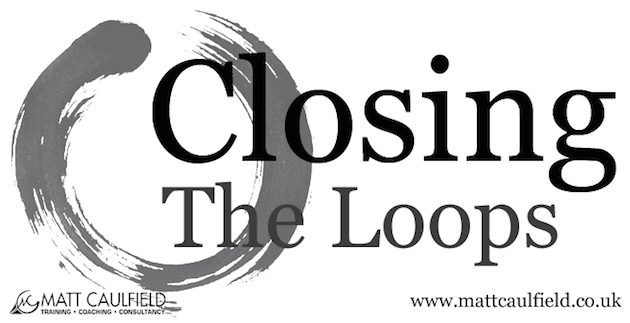 It is one of the many theories about why we dream – to help us to close all the loops that we have opened during the day. We understand the world through metaphor and a dream is an extended metaphor that we use to attempt to organise and “file away” all those incomplete tasks, half told stories and unfinished activities. When Richard was asked to develop a stress management program for executives at a Fortune 500 company in America, the first process he introduced was to get them, at the end of the day, to open and close every drawer or cupboard in the room, close down their computer properly, lift up and put down the telephone, etc. This seemingly odd behaviour was designed to make sure that all the physical processes they had started through the day and which had maybe been interrupted would be closed off. The key to reducing stress and feeling less overwhelmed is to make the effort to keep as few loops open (tasks unfinished) as possible. Do one thing at a time (multitasking is a myth) and remain mindful and present throughout the day. Be aware of anything that you have not finished and take some time at the end of the day to “close off” these tasks. Whether that is to finish them off or make some meaningful plan to continue at a later date. Contains excerpts from “Nested Loops Demystified” available now at Amazon. Last year Cadbury changed the shape of it’s dairy milk bars and received a whole host of complaints that they had changed the recipe for the worst. The truth was, they hadn’t changed the recipe at all! It was just the customers perception of taste had been altered by the change in shape. Assuming you don’t have any organic brain problem that stops you from utilising one of your senses, we perceive the world through ALL FIVE senses at once and by changing the input of one sensory channel effects how we represent the world as a whole. Certain colours create certain associations with taste, emotion, etc (we often use colours to describe moods). Sounds can create powerful emotional responses. Words, both spoke (auditory) and written (visual) create an emotional response (kinaesthetic). We make picture of what people look like from hearing them talk. Smells and tastes can conjure up whole memories or experiences. As Marcel Proust demonstrated in his Magnus Opus “In Seach Of Lost Time“! This natural propensity for us to create our internal representation out of all five senses means we tend to fill in gaps. This phenomena is known as Synesthesia. Usually the term Synesthesia is use to describe people who have extreme multi-sensory experiences (they perceive shapes or colours when listening to music for example) but in NLP we consider Synesthesia as a broader naturally occurring phenomena that we all experience to a certain extent. We naturally “cross over” senses when creating an internal representation. It is essential to recognise that we perceive the world in this holistic manner and draw from all five senses when creating our internal representation (NLP is often misquoted as saying that we have a preferred sense that we understand the world through. That is in fact a misunderstanding – NLP actually states we tend to have a preferred sense in which we COMMUNICATE our experiences of the world – the sensory predicates we choose to use). By changing one seemingly inconsequential sensory channel (changing the colour of packing of food for example) we can radically alter someones experience as a whole.. If you are in a field were influence is important, you need to consider how what the person sees, hears, smells, tastes and feels in that experience. Chaining States, Stacking Realities and Nested Loops – What’s the Difference? 4. Desired State – Magic(k)al possibilities, freedom and choice. Set the direction and consider what intermediary states may be useful (what would be a natural and easy step from the previous state? ), if you are in doubt, it is worth having a conversation with the client and asking them what they think would be useful. Now, that is a simple and obvious example of “Stacking Realities”, I started talking about my experience (reality 1), of Richard telling a story (reality 2) about how Milton gave him a metaphor for change (reality 3). Stacking realities are first and foremost a way of creating an altered trance state and can be placed in the bracket of “confusional induction” where the conscious mind cannot keep track of who the “speaker” is and naturally goes into trance. 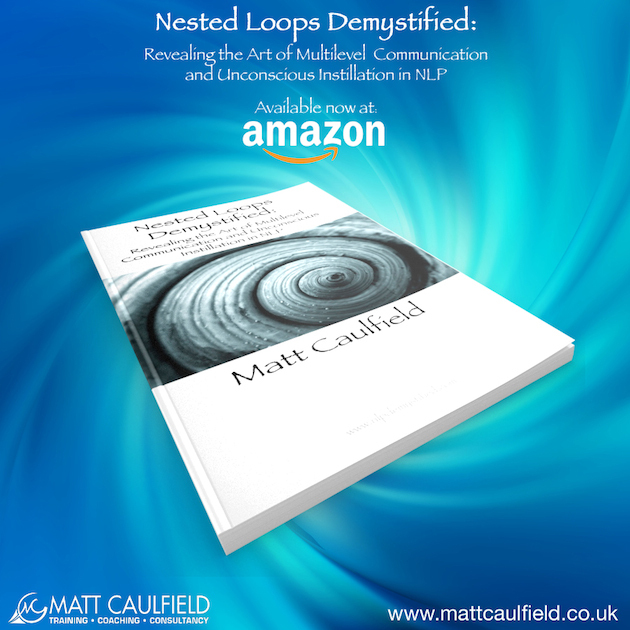 Nested Loops were developed to, and are fantastic way of, delivering large quantities of information easily and quickly, whilst keeping the attention of the person or people you are working with. A Nested loop is story within a story. The difference between Nested Loops and Stacking Realities, is that, whereas Stacking Realities is a linear approach, Nested Loops is circular. In Stacking Realities you would start with Story 1 and finish with Story N. In Nested Loops you Start with Story 1 and end with Story 1. Each story should contain a state or meaning appropriate to the desired outcome. These three processes are very useful approaches but have very different applications; Nested Loops would be useless at getting someone who is stuck to being unstuck. For that you would be better off using the Chaining State approach, if you used Nested Loops, you would just end up taking the client back to where they started (the unwanted state!). This article contains excepts from “Nested Loops Demystified”, available now in paperback and on Kindle. To buy from amazon.com, click here. To buy from amazon.co.uk, click here. https://mattcaulfield.co.uk/wp-content/uploads/2018/07/Enfold-Header-logo.png 0 0 Matt Caulfield https://mattcaulfield.co.uk/wp-content/uploads/2018/07/Enfold-Header-logo.png Matt Caulfield2013-12-03 12:17:172014-04-15 09:31:51Chaining States, Stacking Realities and Nested Loops - What’s the Difference?